Big skates in British Columbia are caught as part of a multi-species groundfish fishery. In 2012, BC landed $104.2 million worth of non-hake groundfish. A large proportion of the groundfish are exported to countries including the US, Japan, and Russia. Management of BC groundfish is moderately effective as management measures such as reference points and harvest control rules exist. However these measures are not applied to all stocks, and are not always supported by scientific research. The Committee on the Status Of Endangered Wildlife In Canada (COSEWIC) has identified several groundfish of threatened status, although recovery of these species is challenging given limited data. Fisheries officers are highly effective in enforcing management regulations such as total allowable catch. Vessels are monitored with 100% at-sea, 100% dockside and 100% observer coverage. Big skates have life history characteristics that make them vulnerable to fishing pressure. The most recent stock assessment performed yielded unclear results, but overfishing is not thought to be occurring. Non-targeted species caught in the BC groundfish fishery include: bocaccio rockfish, green sturgeon, redstripe rockfish, soupfin shark, sharpchin rockfish, splitnose rockfish, spotted rackfish, sixgill shark, steller sea lion, Pacific halibut, giant grenadier, Pacific grenadier and flathead sole. Amongst these species include those whose stock status is of concern, whose inherent vulnerability to fishing pressure is high, or whose fishing mortality rates are high. Bottom trawls have the potential to cause large amounts of habitat damage due to the fact that they drag across the ocean floor. Bottom longlines cause less habitat damage then bottom trawls as they are an immobile gear type. Many of the species targeted by the BC groundfish fishery are found in areas of hard substrate which are more susceptible to damage than areas of soft substrate. In order to mitigate habitat damage, a number of regulations including spatial regulations are in place. For example, no commercial fishing activities are allowed in Rockfish Conservation Areas. Bottom trawls are prohibited in areas where sponge reefs exist. In 2012, additional measures were imposed in order to protect corals and sponges. Big skates are part of the US West Coast commercial non-hake groundfish fishery operating off the coast of California, Oregon and Washington. About half of the skates landed in the US are exported. Skates have life history characteristics that make them vulnerable to fishing pressure. Stock assessments have not been performed of the population but overfishing is not thought to be occurring. Management is effective and comprises regular stock assessments, biomass reference points, harvest control rules, and incorporation of uncertainty when determining catch limits. The big skate is caught incidentally as part of a mixed groundfish fishery. Several of these groundfish are rockfish whose populations are overfished, with a low resilience against fishing pressure. Bottom trawls have the potential to cause habitat damage as they are dragged across the ocean floor. Regulations exist to protect sensitive habitats such as area closures, marine protected areas, and gear restrictions, but the ecosystem impacts of the fishery are not adequately studied. Skates are usually caught incidentally in the groundfish fishery, and are primarily sold on the Asian market. In 2011, 550.9mt of longnose skate were landed in the US, worth about $400,000. Most longnose skate is exported to South Korea. 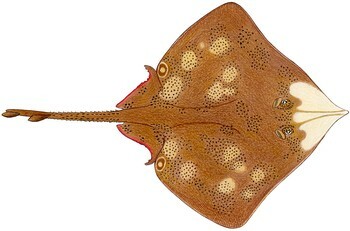 The longnose skate has life history characteristics that give it a moderate inherent resilience against fishing pressure. 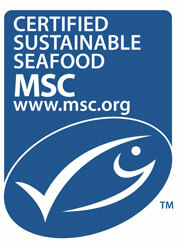 The stock status is healthy as it is neither overfished not experiencing overfishing. The longnose skate is caught incidentally as part of a mixed groundfish fishery. Several of these groundfish are rockfish whose populations are overfished, with a low resilience against fishing pressure. Skates are fished in areas of soft substrate as well as rocky outcrops that are sensitive to physical damage. Regulations exist to protect sensitive habitats such as area closures, marine protected areas, and gear restrictions, but the ecosystem impacts of the fishery are not adequately studied. California skates are part of the US West Coast commercial non-hake groundfish fishery operating off the coast of California, Oregon and Washington. About half of the skates landed in the US are exported. Skates have life history characteristics that make them vulnerable to fishing pressure. Stock assessments have not been performed of the population but overfishing is not thought to be occurring. Management is effective and comprises regular stock assessments, biomass reference points, harvest control rules, and incorporation of uncertainty when determining catch limits. The California skate is caught incidentally as part of a mixed groundfish fishery. Several of these groundfish are rockfish whose populations are overfished, with a low resilience against fishing pressure. Bottom trawls have the potential to cause habitat damage as they are dragged across the ocean floor. Regulations exist to protect sensitive habitats such as area closures, marine protected areas, and gear restrictions, but the ecosystem impacts of the fishery are not adequately studied. Groundfish in British Columbia are caught as part of a multi-species fishery. Out of the 60 species/gear combinations, 8 were found to be sustainable: lingcod caught by bottom longline and jig, big skate caught by bottom longline and bottom trawl, sablefish caught by bottom longline and bottom trawl, petrale sole caught by bottom trawl, and English sole caught by bottom trawl. These species are covered in separate reports. In 2012, BC landed $104.2 million worth of non-hake groundfish. Pacific halibut, sablefish and rockfish account for 83% of the value of the landings. A large proportion of the groundfish are exported to countries including the US, Japan, the UK and Russia. Management of BC groundfish is moderately effective as management measures such as reference points and harvest control rules exist. However these measures are not applied to all stocks, and are not always supported by scientific research. The Committee on the Status of Endangered Wildlife In Canada (COSEWIC) has identified several groundfish of threatened status, although recovery of these species is challenging given limited data. Fisheries officers are highly effective in enforcing management regulations such as total allowable catch. Vessels are monitored with 100% at-sea, 100% dockside and 100% observer coverage. Several species such as the big skate and various rockfish have life history characteristics that make them inherently vulnerable to fishing pressure. The population health and fishing mortality of many BC groundfish is unknown or uncertain due to a lack of stock assessments, or out-of-date assessments. This uncertainty in population status is a concern. Non-targeted species caught in the BC Groundfish fishery include: bocaccio rockfish, green sturgeon, redstripe rockfish, soupfin shark, sharpchin rockfish, splitnose rockfish, spotted ratfish, sixgill shark, steller sea lion, Pacific halibut, giant grenadier, Pacific grenadier and flathead sole. Amongst these species include those whose stock status is of concern, whose inherent vulnerability to fishing pressure is high, or whose fishing mortality rates are high. Bottom trawls have the potential to cause large amounts of habitat damage due to the fact that they drag across the ocean floor. Many of the species targeted by the BC groundfish fishery are found in areas of hard substrate which are more susceptible to damage than areas of soft substrate. In order to mitigate habitat damage, a number of regulations including spatial regulations are in place. For example, no commercial fishing activities are allowed in Rockfish Conservation Areas. Bottom trawls are prohibited in areas where sponge reefs exist. In 2012, additional measures were imposed in order to protect corals and sponges. Winter skates are caught incidentally in the groundfish fishery, and to some extent, the monkfish fishery. Winter skate landings increased from a low of 800 mt in 1981 to a peak of 19,000 mt in 2007. This increase was largely due to an surge in demand from export market. 85-95% of the skates landed in the US are from Massachusetts and Rhode Island. The majority of skates are exported to France, Korea, and Greece, although there is a small US market, primarily fine-dining restaurants. Winter skates are managed by the New England Fishery Management Council. Regular stock assessments are performed. Management is moderately effective, as scientific advice is generally followed and progress is made concerning bycatch. However, management could improve in order to better understand fishing mortality rates and population status. As winter skates are fished as part of a multi-species fishery, this is not always a straight-forward process. The winter skate has life history characteristics which make it vulnerable to fishing pressure. These include a long lifespan and fecundity. According to the latest stock assessment, the population is neither overfished nor experiencing overfishing. Bottom trawls are a non-selective fishing method which causes bycatch. Some non-target species that are caught are threatened. These include the North Atlantic right whale and Atlantic sturgeon in the bottom gillnet fishery, as well as Atlantic cod in the bottom trawl fishery. As an immobile gear-type, bottom gillnets cause less damage than bottom trawls. Efforts to reduce habitat damage are taken in the form of area closures.